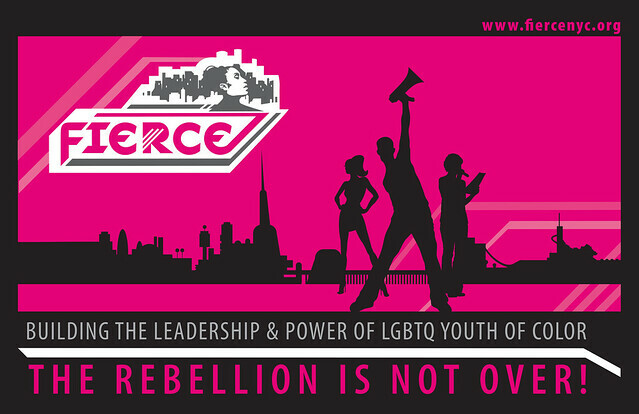 MISSION: FIERCE is a membership-based organization building the leadership and power of lesbian, gay, bisexual, transgender, and queer (LGBTQ) youth of color in New York City. We develop politically conscious leaders who are invested in improving ourselves and our communities through youth-led campaigns, leadership development programs, and cultural expression through arts and media. FIERCE is dedicated to cultivating the next generation of social justice movement leaders who are dedicated to ending all forms of oppression.